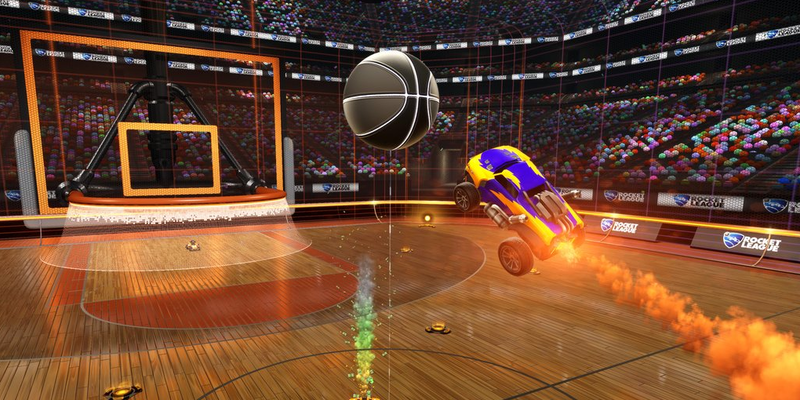 Since playing soccer with cars clearly isn’t enough for some people, the creators of indie game Rocket League have teased that it’s getting a new basketball mode, probably called Hoops. Rocket League was released last year and became an instant hit with over 8 million users hooked ever since. The game’s phenomenal success is clearly urging its indie developer to push on since it also just announced the first official Rocket League Championship series in association with Twitch. Psyonix hasn’t said when to expect the basketball version but an educated guess would say it’s only days away from being revealed since the NCAA’s March Madness games start next week. For now, it’s probably best you all start practicing your flying.